Derby's waste - a rubbish blog ! : Last one out DONT turn the lights off! Last one out DONT turn the lights off! When the 55 meter chimney stack was installed on the Resource Recovery Solutions waste incineration plant it was lit up like a replacement for Christmas fairy lights! When asked why so much lighting was required on the stack Resource Recovery Solutions representatives stated it was required by East Midlands Airport - who had the final say due to local aviation issues. In recent weeks however there has been a serious issue with the stacks lighting system leading to the stack being unlit in the hours of darkness! This directly placed aviation at risk so it was important to raise this with the developer and its contractors. 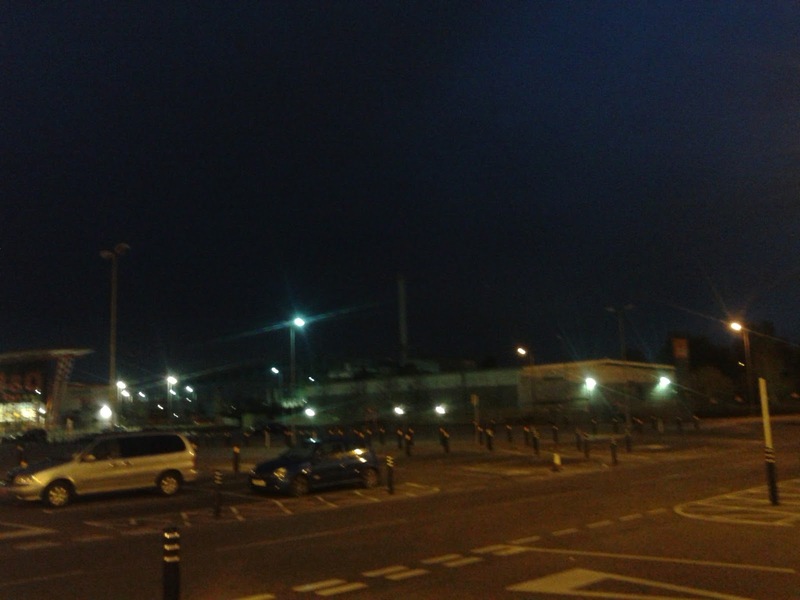 Below is an image of the plant taken from Sainsburys car park showing the stack unlit. 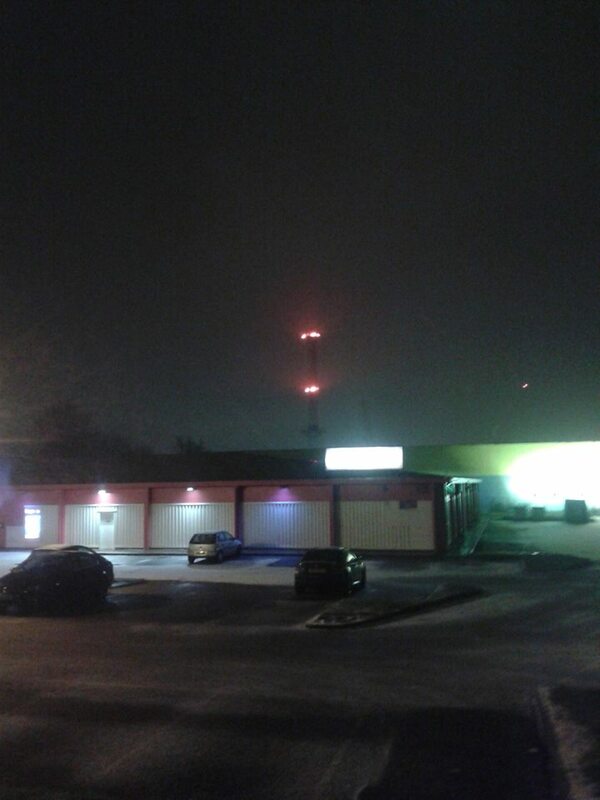 In a article in the Derby Telegraph published after the event it was suggested that lighting of the stack - at 180 feet was not mandatory but the CAA and East Midlands Airport advice is that the stack should be lit in the hours or darkness and poor weather. 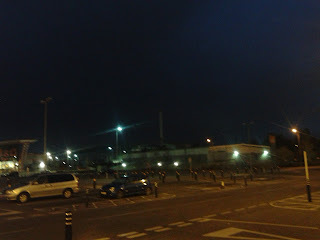 It was noted that there had been an intermittent fault reported in the day on the Wednesday and Thursday, if so this situation raises some serious questions in relation to safe management of the site when we consider that the site has 24 hour security. Did the security guard monitor the stacks lighting - considering it was known there had been faults? Surely the security guard would notice that the large stack was unlit! after all it did dominate the site and glow a menacing red shade! It calls into question the developers ability to run a safe site when something as serious as this is able to happen over a number of days and takes so long to address.